We had a flying start to the MIX & BOOM Kickstarter campaign today, reaching 50% of the minimum target in just two hours! This was a really low key launch for us, with no real promotion behind it other than three “pre-launch” emails sent to existing Friends of PUMP. You may wonder why we didn’t put some serious promotion in to it, given the immense sound quality and ridiculously low price (if you’ve heard a set of PUMPs before you’ll no doubt agree with these statements) of both of these new models. Some of the Team here asked me that very question earlier this afternoon. So I think the thought in the back of my mind was “this is unlikely to attract a lot of Backers because it’s not a gimmick or cleverly marketing an existing technology as the next big thing”. And so for that reason, we only “soft launched” it. However, I have to say that the volume of initial orders on Kickstarter has confirmed my hope that there are still a lot of Music Lovers out there who — like us — place SOUND above gimmicks or the latest fad. It’s our core belief that one thing matters beyond all else with any set of headphones, and that thing is: Sound. P.S. Welcome to the Family if you’re a first time PUMP Backer :-) You won’t be disappointed! P.P.S. Of course, I agree that it’s a good thing to come up with genuinely new technologies, but only when there is a real benefit to the user, and not just with the objective of selling an average sounding set of headphones to a large number of people by coming up with some weird and wonderful “latest and greatest” type marketing. 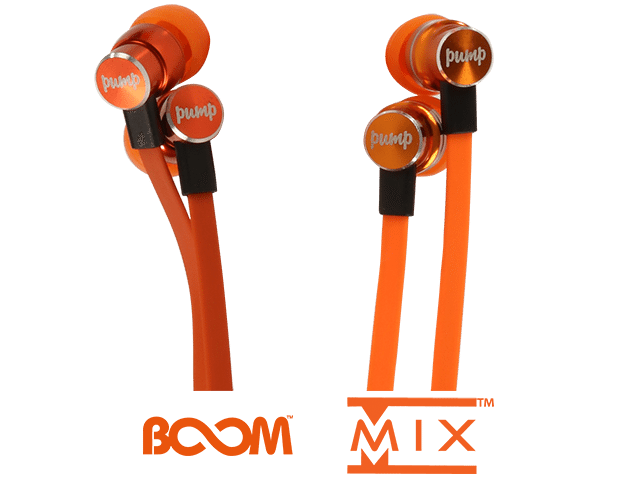 MIX & BOOM on Kickstarter!